Below is a list of our current partners which help us run these projects. Better Off Finance is an innovative partnership funded by Building Better Opportunities via European Social Fund and the Big Lottery Fund. For more information please click here or on the image below. The Greater Merseyside Money Advice Project manages a network of 12 Participants and 37 debt advisors who are experienced in providing quality advice and assistance. For more information please click here or on the image below. Citizens Advice St Helens has received funding from the British Gas Energy Trust to assist clients in financial difficulties. For more information please click here or on the image below. 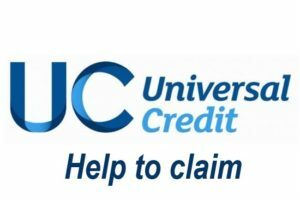 At Citizens Advice St Helens we can support you to make a new claim for Universal Credit, from opening your account to receiving your first full payment. The Advice Skills Academy is run by a partnership led by The Women’s Organisation chosen because of their reputation and track record in the Liverpool City Region. For more information please click here or on the image below.